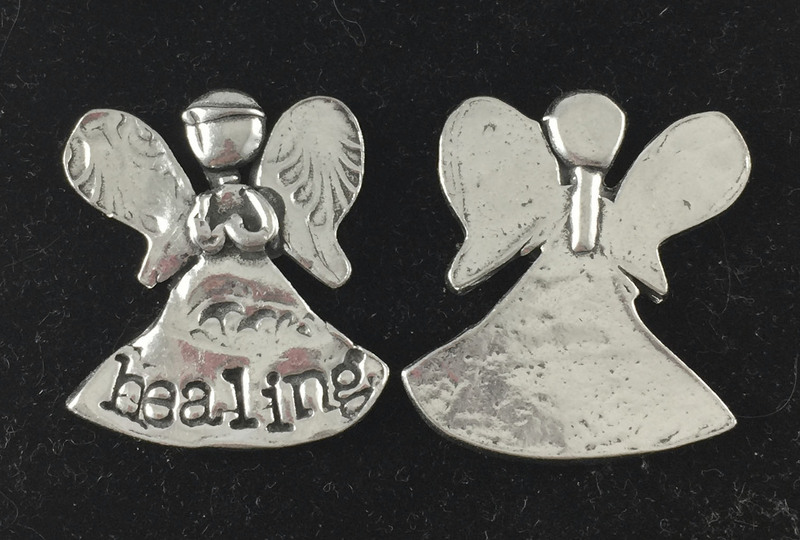 The Healing Angel token is made of lead free pewter. Measuring approx. 1" x 1" the token features angel makrings and the word 'healing' on the front and is blank on the back.